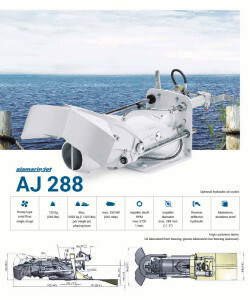 The Alamarin-Jet water jet propulsion unit is a high-quality propulsion unit for boats. The jet is located at the back of the boat. It receives pumped water through an intake at the bottom of the boat. 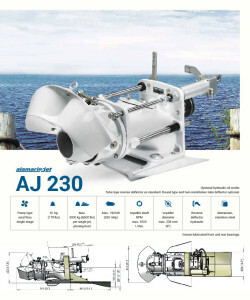 The intake duct leads the water onto the impeller and the impeller raises the pressure of the water. The change in the pressure and subsequent flow rate creates a reactive force which thrusts the boat forward. 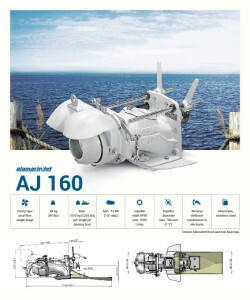 Alamarin-Jet Oy has manufactured the units since 1976 in Alahärmä, Finland. 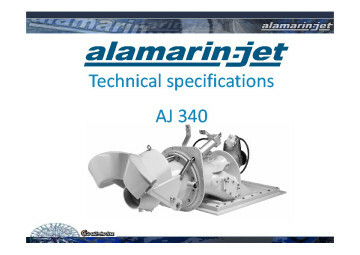 Alamarin-Jet water jet propulsion units promise excellent performance even in the most demanding conditions. They can be fitted to any hull type and can be installed with a wide range of engines with outputs ranging from 74kw to 550kw. Installation inserts are available for simple and correct installation. 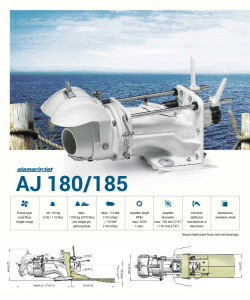 The Alamarin-Jet offers significant safety benefits to users as it avoid the risks associated with outboard and stern drives. 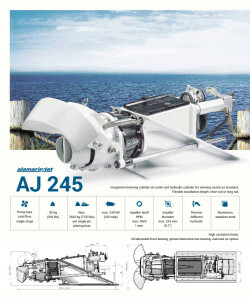 The positioning of the water jet also offers the added benefit of allowing users to bring vessels more tightly into land compared to a conventional drive system. This makes it perfect for boats that are destined for close operations around people, such as super yacht tenders, dive schools, water taxis, landing craft, rescue craft and fishing vessels. 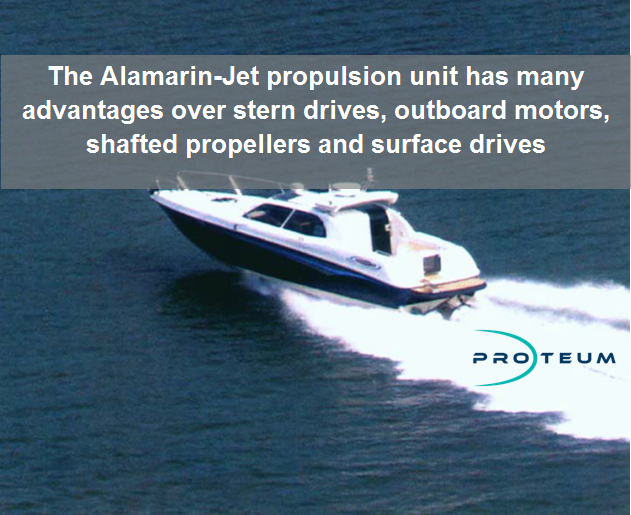 Proteum is the official UK & Ireland Distributor for Alamarin-Jetwater jet propulsion units. We work with a range of clients which include boat builders, designers, operators and owners. Proteum offers a one-stop-shop for new engine sales, spare parts and servicing.